“Kred, created by social analytics leader PeopleBrowsr, measures influence in online communities connected by interests. Kred celebrates the personal influence and generosity at the heart of human relationships-tight groups of friends and subject matter experts. 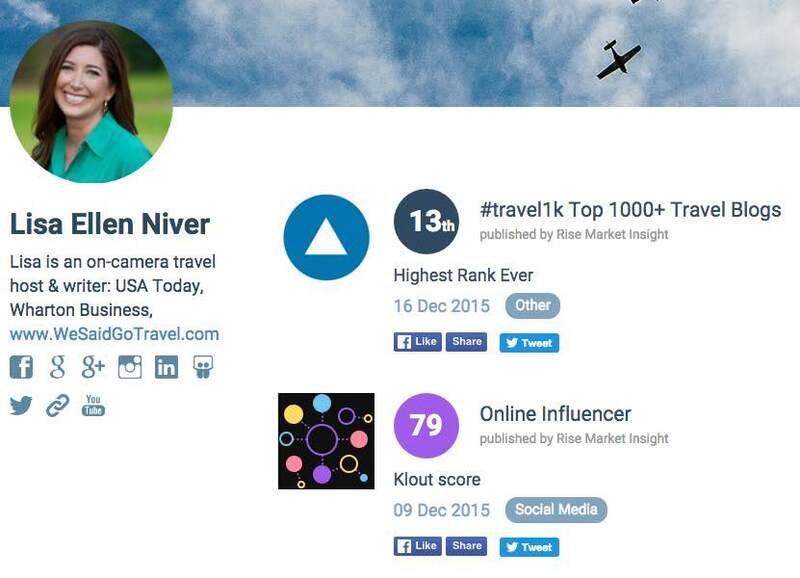 Kred is based on 1,200 days of social data and offers completely transparent score calculation. 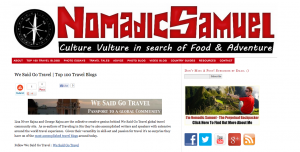 We Said Go Travel is a global community of over three hundred writers with articles from every continent. Stories are shared with photos and video from a perspective of the transformative power of travel. We Said Go Travel has hosted live and online events as well as travel writing contests. Presented to Lisa Niver Rajna in honor of:Your outstanding work and perseverance that resulted in many awards, as well as your contributions to the community through your work as an educator and mentor. I join many members of the community to applaud your involvement to building a brighter future for everyone.